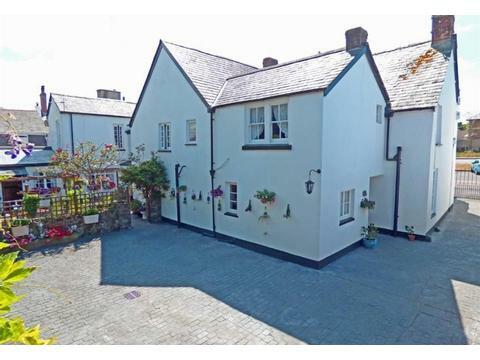 Lovely Wing of Grade 2 Listed House & Detached 1 Bedroom Cottage in village of Northam.Well equipped gdn.pkg. splendid beach of Westward Ho! & coastal path with spectacular scenery close by.Pets Welcome 2 free Perfect Location for both Sea & Moors. Cross House is a lovely Grade 11 listed house giving plenty of character with all up to date amenities. 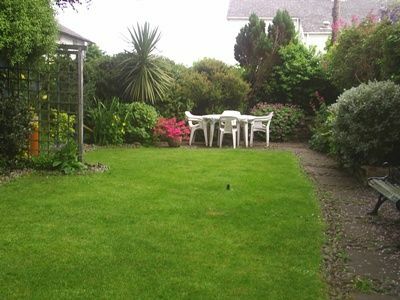 Off street parking & a fully enclosed garden, perfect for our small visitor & our four legged friends, (shared between both cottages) with outside seating in the summer months. Lovely restaurant which needs to be booked as it is so popular. Cross House Cottage. A cosy 1 Bedroom with shower en-suite, Lounge with window seat & pictures adorn the walls making it feel homely, Fully Equipped Kitchen. Ideal for just couples. Cross House Wing. A very spacious accommodation which has 3 Bedrooms. 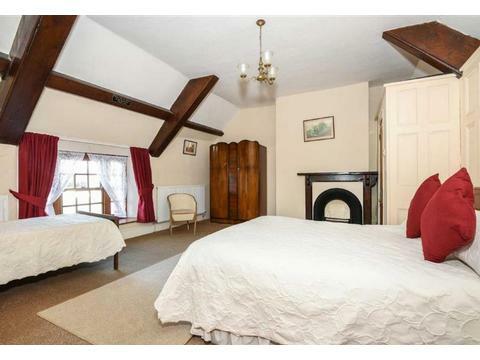 Family Bedroom (double/single) shower en-suite & exposed beams & feature fireplace. 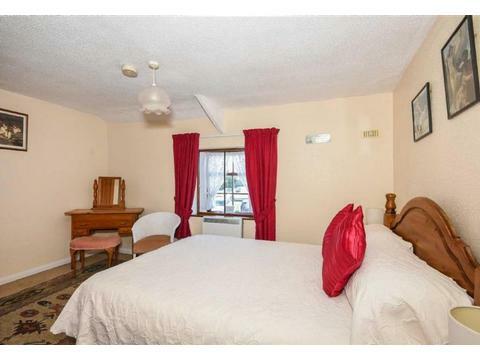 Double Bedroom with feature fireplace. Twin Bedroom exposed beams & connecting door into Family bedroom ideal for our young visitors. 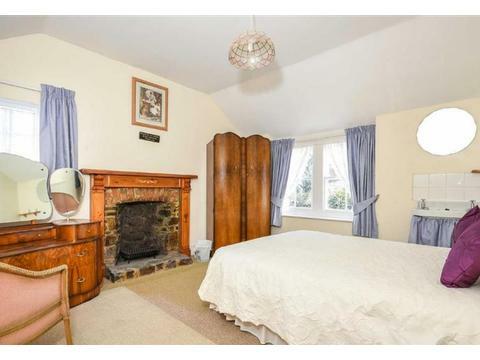 Bathroom,Lounge Inglenook Fireplace,old slate floor, (with large rug) seperate Dining Room exposed beams. 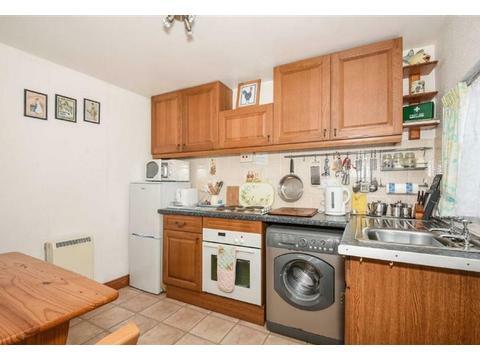 Fully Equipped Kitchen.Perfect for the larger family or just couples too. Travel free if you have a bus pass the bus stops outsdide the door to Bideford,Barnstaple, Ilfracombe & beyond. A lot of our guests finds this service extremely useful. Wether you want a touring holiday or to come to simply relax we are centrally located.Westward Ho! Beach (blue flag) is great for a day out as it is a couple of minutes drive away (walkable too!) from our cottages. It offers windsurfing and is lifeguarded in the summer months, but it also offers great walks over the country park,coastal path, if thats not enough you can have a round of golf on one of the oldest courses in the country. The Milky Way,Big Sheep, National Trust Arlington Court,and for our green fingered visitors there rhs rosemoor at Torrington and while there pop into Dartington Crystal. All these are within 1/2 hr. drive away. 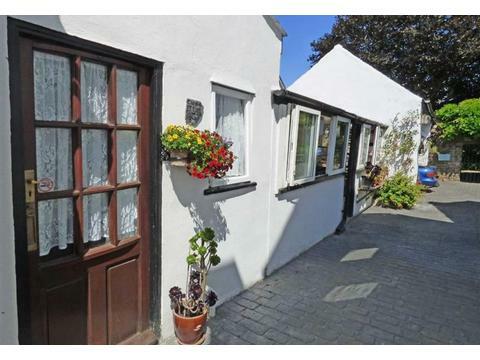 Appledore is just a mile from us with its narrow street & Craft,Art shops & lovely Tea Rooms for the perfect Cream Tea! Sit along the quay & watch the world go by & the children crabbing of the side. You must find time to visit Clovelly (20 minutes away) Hartland Quay & Lynton & Lynmouth. There is too much to mention here so please give me a ring and i will be happy to discuss your holiday requirements. Hey and don't forget we accept two pets free of charge. Pets allowed in both cottages. We make a small charge of £15 per additional dog. Cross House is ideally situated for a great holiday whether its touring or simply relaxing. Many splendid beaches & family attractions that will suit the whole family. Clovelly, Lynton, Lynmouth, Exmoor, are just a few that are worth a visit. 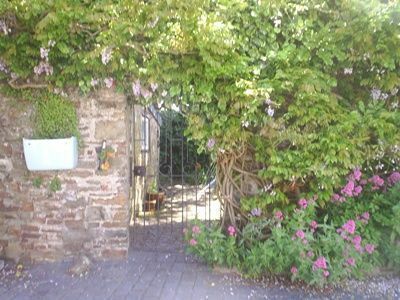 Contact Cross House and Cottage Pet Friendly Accommodation in North Devon for Enquiries and Availability.